Working for hours straight could make you hungry and sleepy. Taking a short break to eat or move around would be quite a brilliant idea. For most of us, deciding on the food could be pretty challenging. Malaysia being the food paradise nation, offering too many food to choose from, is worsen to the already hard decision-making situation. Well, if you still can’t decide on where to eat, head to our new (3-month old, to be exact) in-house café, Bucolic. They serve great Italian Asian fusion food at reasonable price. Amazing dining experience awaits. 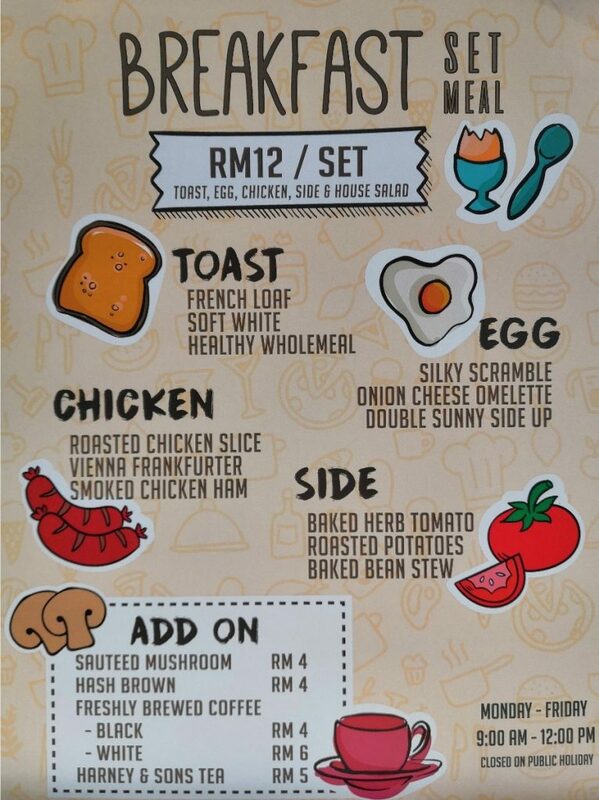 Check out their breakfast menu. They have good news for everyone. 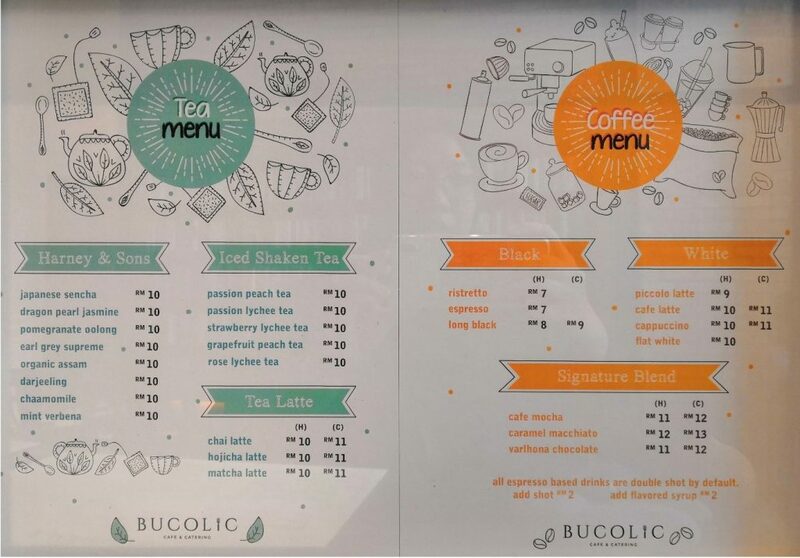 More exciting choices are coming to Bucolic. Go ahead and indulge yourself in those wonderful meals that they serve at Bucolic. These amazing food with great quality comes with a reasonable price tag! 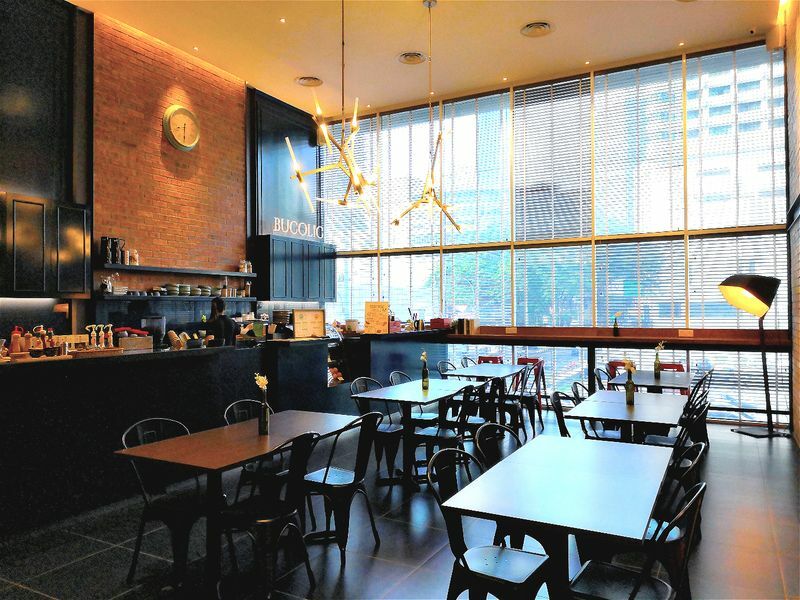 Day pass users are entitled to redeem a voucher worth RM10 from Bucolic.